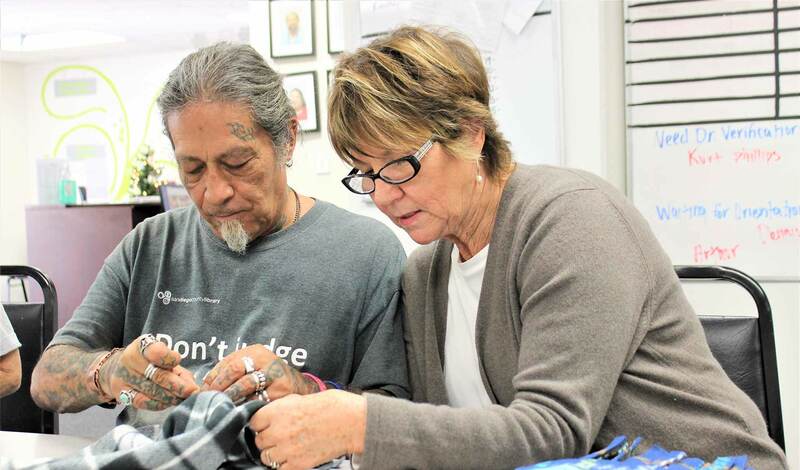 The Meeting Place Clubhouse was founded by a small group of consumers/clients, led by Dan Reese, who met on a park bench in Balboa Park to talk and dream. After a lot of hard work and a little help from their friends, they incorporated and were granted non-profit status in January 1992. Shortly after that, they received the first county contract to provide socialization services. At The Meeting Place, we follow the 37 International Standards established for Clubhouses modeled after Fountain House in New York City. Clubhouses all over the United States and many other countries follow these standards. They act as a guide to our daily life in the Clubhouse and ground us in our decisions as a community. Over the years, we´ve grown in numbers and purpose, developed housing and employment opportunities for our members, started the first Peer operated telephone Warmline in San Diego, and became the first Clubhouse International Accredited Clubhouse in the state of California. We accomplished all this by planning and working together! 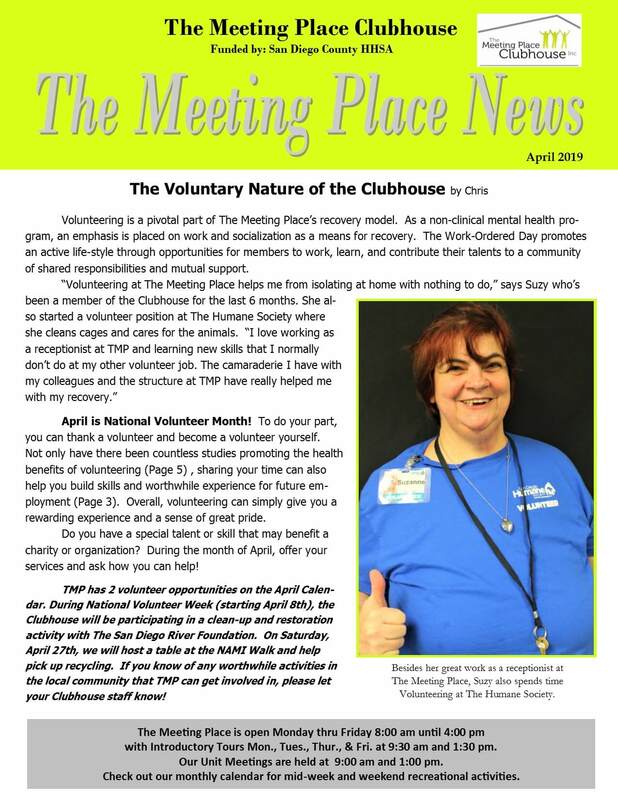 Our vision is that Clubhouse members reach their potential and are respected as co-workers, neighbors and friends.